Bajans favour a more formal approach to greeting and meeting. This is most commonly a handshake between both sexes. When introducing or referring to a Bajan, you should always use a title and surname. Using first names, especially if you have don’t have a personal connection to the person, could be considered quite impolite. Lightweight suits are recommended. European courtesies should be observed, such as presenting business cards. One of the wealthiest countries in the Eastern Caribbean, the Barbadian economy has been growing steadily since 2009. According to a 2017 assessment by the Index of Economic Freedom, Barbados's economy is 54.5% free. Improved investment freedom places it high above the regional average. Traditionally relying on sugarcane and other agricultural exports, Barbados has successfully diversified its economic activities. Tourism now represents the largest employer on the island. Cotton, flowers and plants are being developed as export products. The island's other important industry is oil. Exploration efforts have intensified since the mid 1990s. Today, two-thirds of offshore output is exported, with the remainder assigned for domestic consumption. 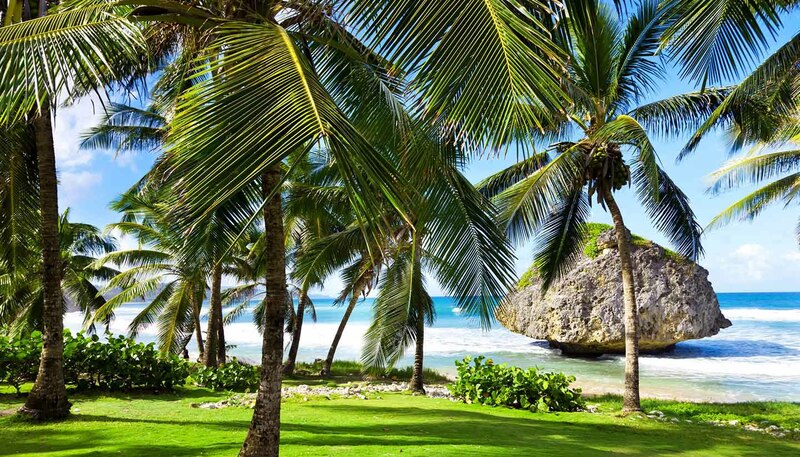 Barbados has also developed an 'offshore' financial industry that now accounts for 15% of GDP. Barbados receives some overseas aid from British and US sources and is a member of the Caribbean economic community (CARICOM) which has boosted regional trade. Good transport and communications infrastructure is poised to assist future economic development. Barbados's declared goal is to become the world's smallest developed nation. Barbados is keen to position itself as the Caribbean's foremost convention destination and offers a number of conference facilities for incentive and business travel groups. All are centred on Bridgetown where meeting space is fully air conditioned and equipped to handle seminars, trade shows and exhibitions, from 15 to 2,500 delegates. Cotton, chemicals, plants, rum, sugar, molasses and electrical components. Consumer goods, machinery, food, chemicals, fuel and construction materials. UK, USA, Trinidad & Tobago, St Lucia and Jamaica. Cardphones and payphones are located across the island; many make overseas calls. Local calls are free (unless calling from a hotel or business). Roaming agreements exist with many international mobile phone companies. Coverage is good. Mobile phones can be hired locally. There are Internet cafés throughout Barbados. Wi-Fi is increasingly available, especially in hotels. Press freedom is an established part of Barbadian life with newspapers privately owned and largely unrestricted. Two local daily newspapers are available – the Barbados Advocate and the Daily Nation. Radio broadcasting benefits from a healthy mix of private and public stations. Although government-owned, the island's sole TV station CBC presents a wide range of political views. Post offices and boxes are found across the island, including at the airport. Airmail to Europe takes around 10 days. Variable, but as a general guide Mon-Fri 0730-1700 at the General Post Office; other branches Mon-Fri 0800-1500.